The SeQual Eclipse 5 Weather Cover was designed to be an added layer of protection for your Eclipse 5 concentrator. This durable and breathable material will keep your unit dry from rain and snow without causing it to overheat. With its proper ventilation holes, this weather cover can be kept on the unit 24/7 to protect it from everyday bumps and scratches. 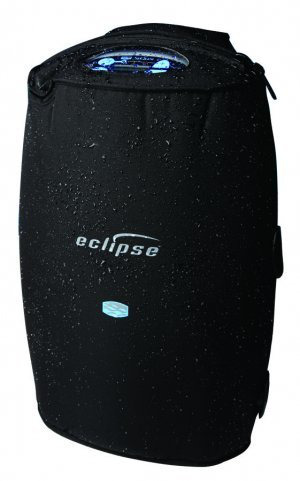 The extra protection offered by the SeQual Eclipse 5 Weather Cover is matched by its practicality. Every key feature of this unit can be accessed while the weather cover is on the machine. There are designated flaps, cut outs, and transparent screens where you may need to access a feature. The control panel, back filter, and charging port are all protected yet accessible making this accessory extremely user friendly.